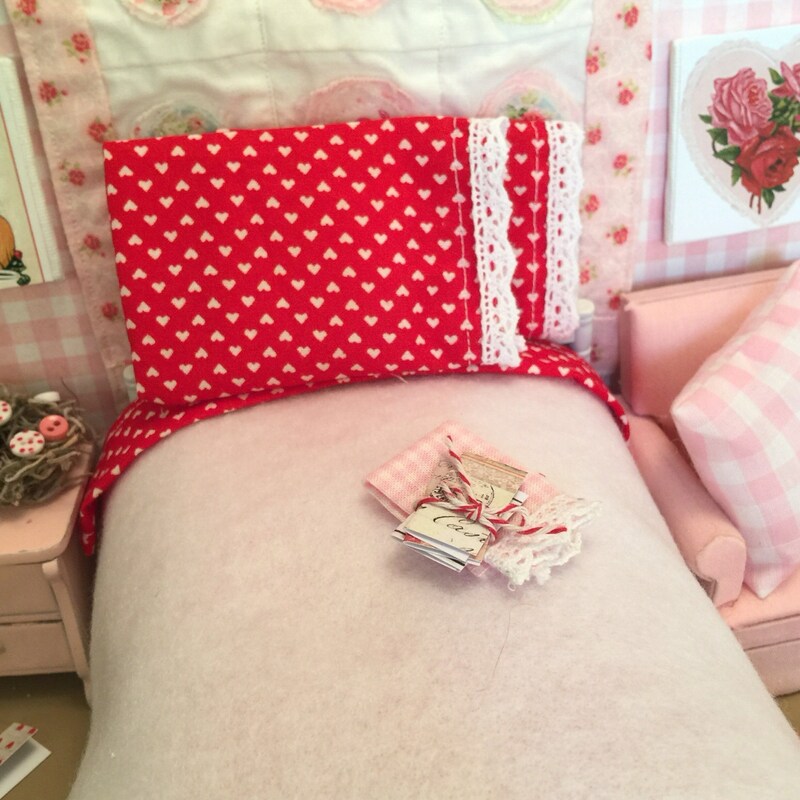 These sweet little sheets are made using cotton fabric with tiny little hearts on it. The sheet is 7” wide and 8” long. 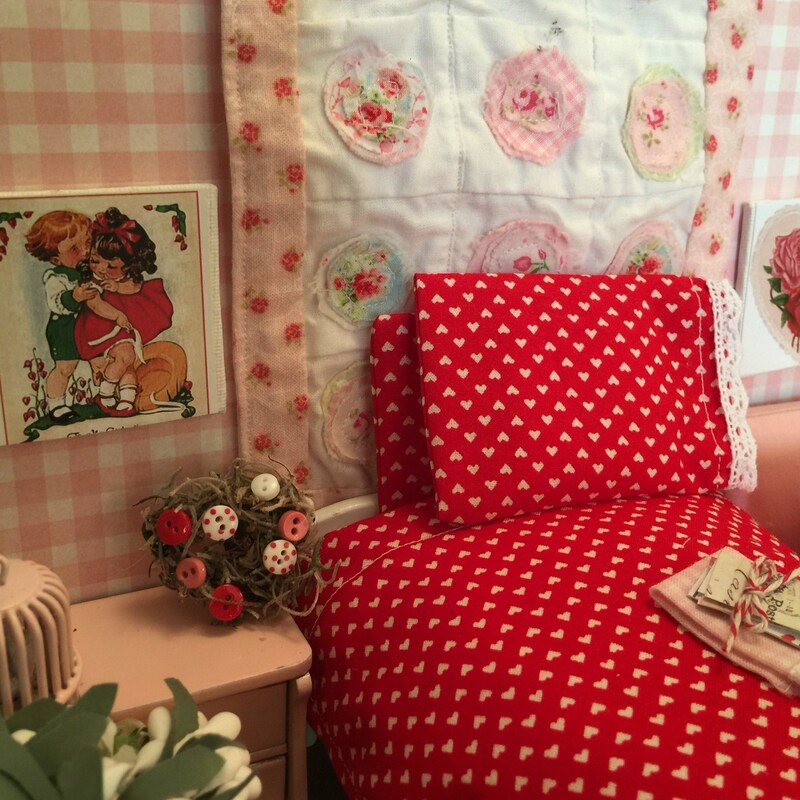 Two pillowcases edged in lace with little pillow inserts are part of the listing as well. A white blanket tops the sheet set. It can be over the sheet or folded and placed at bottom of bed if desired. 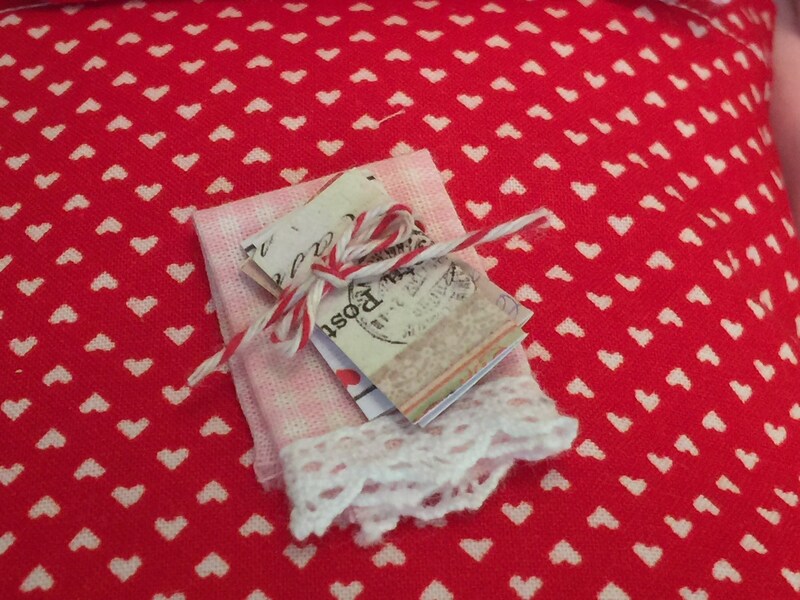 Also included is the lace edged decorative towel and Valentine cards tied with red and white bakers twine. 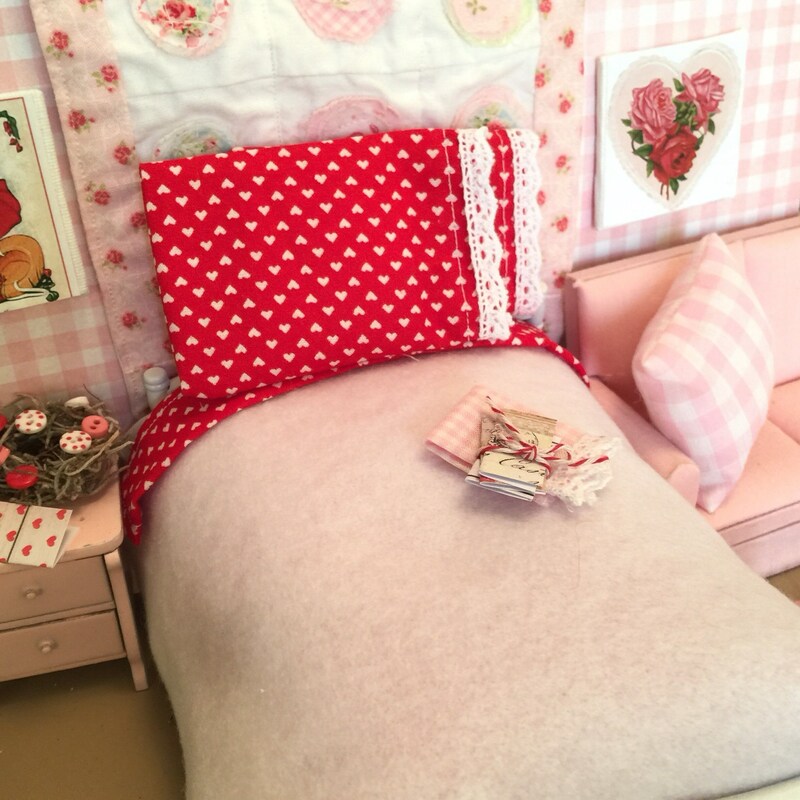 Perfect for adding a bit of a Valentine look to your little bed. I tucked the sheet and blanket under the foot of the mattress. 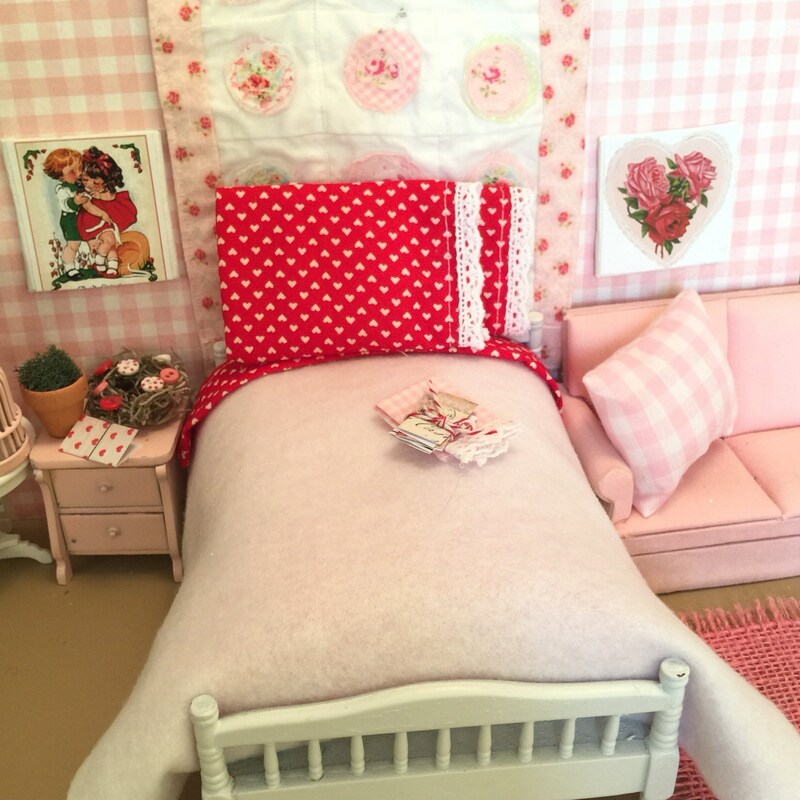 The sheet can b fold d to fit most miniature sized doll beds.